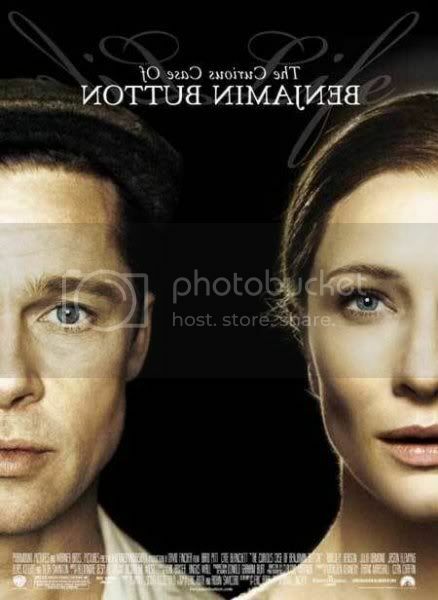 Celebrity Movie Review Benjamin Button: An Amazing, Amorous, Age-defying Journey! Benjamin Button: An Amazing, Amorous, Age-defying Journey! Yes, The Curious Case of Benjamin Button is an AAA movie. It is Amazing, Amorous and absolutely Age-defying! Perhaps you guys might feel I have gave this movie too much credit. Maybe a wee bit, but I certainly believe that this American Drama film is truly inspiring. What the journey took us through is nothing short of breath taking. Never mind that it was beaten so tamely by the Slumdog in the Oscars; Never mind that Brad Pitt was scrutinised and slammed by critics claiming that his acting is lousy. IMHO, Benjamin Button certainly deserved my standing ovation! It was a shame that I didn't discover this masterpiece story earlier. Yupe! This is not an original movie. The film was inspired by the short story written by the late F. Scott Fitzgerald. Guess when was this story first made its break? Read this: 1921. The release of the movie is indeed timely as our cinemas are saturated with too much empty, worthless, mind insulting movies. Benjamin Button which runs 165 minutes will not disappoint you in any way. Of course this movie does not advocate monogamous relationship. It's one damm promiscuous flick but that's just part of the big, beautiful picture. There's no colour for love! The plot is well orchestrated, with every events and frames of stories placed meticulously. The curtain raiser of the movie is brilliant with the senile Daisy (Cate Blanchett) is on her deathbed with her daughter Caroline (Julia Ormond) in a hospital as a hurricane is looming. Ok, here comes the story-in-a-storey part-->Daisy then tells the story of a sightless clockmaker called Gateau (Elias Koteas), who engender a clock to hang in the train station. But something dark happened later which caused Gateau to intentionally designs his clock to run backward, in the hope that it would bring back those who died in the war. Look mama! I can walk. Then, a very decisive DIARY hijacks the plot: After Daisy's perplexing story, she then asks Caroline to read aloud from a diary containing photos and postcards written by Benjamin Button (Brad Pitt). Caroline then starts to read as the story switches to Benjamin's curious case, which leads us to another story: just as the people of are celebrating the end of World War I on the streets, a baby boy is born with the semblance and physical afflictions of an elderly man. The mother of the baby departs this world shortly after giving birth, and the visibly disturbed father, Thomas Button, takes the poor little baby and abandons him on the porch of a nursing home. Benjamin Button is his early 20s? Queenie and Tizzy, a couple who work at the nursing home, find the poor little tot. Queenie, who is unfit to conceive, decides to take the baby in as her own and she names the baby Benjamin. Fate has a strange way of treating Benjamin. Fate has a funny way of showing compassion though. In this case although little Benjamin has just lost his biological mother, God rectified his mistake quickly in the shape of Queenie. Cate Blanchett is superb as Daisy! Then Benjamin grows up (or in this case, younger) and embarks on a new journey; an amazing, amorous, age-defying odyssey! Benjamin's live is filled with lots of tragedy, happiness and ultimately priceless experience. 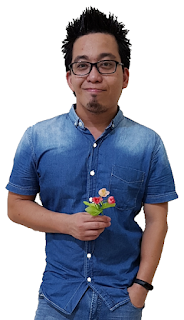 He works as a crew on a tugboat, went to the brothel to "taste" women, caught in the World War 2, had a fling with a few women, met his father, found the woman of his life-Daisy and finally becomes an infant and leave this world. In the end, when Daisy passes away, her dream of seeing her beloved Benjamin again seemingly answered by a hummingbird hovering outside the storm-drenched windows. Ouh my God, at this point my emotions just poured! I honestly love this movie very, very, very damm much. It shows how humane we are. This film lets me see our world, our lives from different angles. The ending is simply pristine if not flawless. The plot is phenomenal complimented by quintessential acting. Should you watch this? ABSOLUTELY YES! 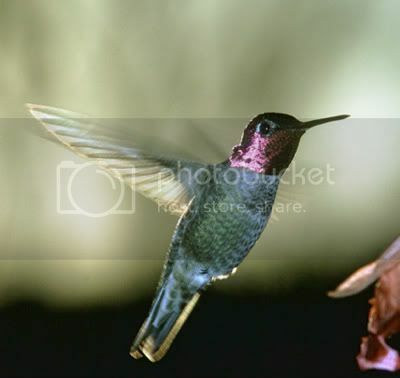 Hummingbird-a significant character in the movie! Lovely. Thanks for the review. I have yet to watch this but have heard quite abit about this movie. Only thing is...I am not a fan of Brad Pitt..I know alot of women who are so into him (I don't know why..hehhe). I love this movie too.... until I watched Slumdog Millionaire. No wonder Slumdog wins the Oscar. The plot is better and the story more entertaining too. The story sounds incredibly intriguing. too bad,I am not a huge Brad fan but i bet his acting was good. i also don't know why he has millions of screaming female fans in every corner of the world. i will watch it too tonight maybe. i am a bratt fan. Seems nice la tis movie from the review u wrote. lol, i checked online. tis movie arl no more showing on screen arl la.. So sad..how come i dunno tis movie...Sad la..
Geez... reali feel lyk watching ler... so interesting!!! I luv Cate Blanchett!! !